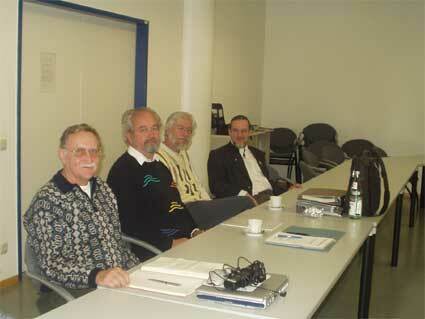 The first meeting of the German stakeholder Group was held in Munich, on October 11th, 2003. The program and talks are presented below. 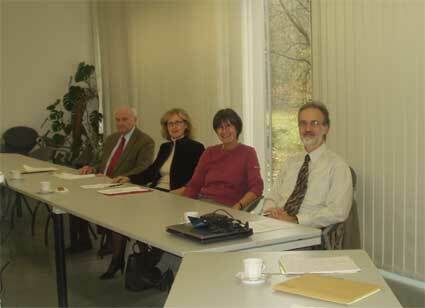 The German stakeholder Group met for the second time on 2nd of March in Neuherberg. A short summary about the third SAGE coordination meeting in Paris was given to inform the panel about the progress of the different work packages of the project. The second draft version of the handbook on a radiation monitoring and protection in case of contamination of the environment was discussed in detail. One main objection was the role of the doctor. Even after a training and education in radiation protection the normal family doctor in Germany will not be able to solve the problems in case of a long term contamination, because the German public health system differs from the health care in France. Another concern was the measurement of ambient dose rates done by the families themselves, because the anxieties and problems of the concerned population can be increased by unsteady measurements with insufficient devices. This was an experience made after the Chernobyl accident, when many people tried to do their own measurements. A further general problem may arise because of data security, if measurement results of persons and households are published. Moreover some proposals were made for the handbook: the involvement of psychologists to support concerned population groups, dissemination of actual information by internet, preparation of interactive CDs for schools and kindergartens and of a glossary in the national language for the most important terms in radiation protection. The next meeting is planned for the discussion of the next version of the handbook.